Collective motion is one of the most fascinating phenomena and mainly caused by the interactions between individuals. Physical-barriers, as the particular facilities which divide the crowd into different lanes, greatly affect the measurement of such interactions. In this paper we propose the physical-barrier detection based collective motion analysis (PDCMA) approach. The main idea is that the interaction between spatially adjacent pedestrians actually does not exist if they are separated by the physical-barrier. Firstly, the physical-barriers are extracted by two-stage clustering. The scene is automatically divided into several motion regions. Secondly, local region collectiveness is calculated to represent the interactions between pedestrians in each region. Finally, extensive evaluations use the three typical methods, i.e., the PDCMA, the Collectiveness, and the average normalized Velocity, to show the efficiency and efficacy of our approach in the scenes with and without physical barriers. Moreover, several escalator scenes are selected as the typical physical-barrier test scenes to demonstrate the performance of our approach. Compared with the current collective motion analysis methods, our approach better adapts to the scenes with physical barriers. Gaoqi He received his BS and MS degrees from the Department of Mathematics of East China Normal University, China in 1997 and 2000, respectively. He received his PhD degree from State Key Laboratory of CAD&CG, Zhejiang University, China in 2007. He is currently an associate professor at Department of Computer Science and Engineering, East China University of Science and Technology, China. His research interests include intelligent video processing, crowd simulation, virtual reality and augmented reality. Qi Chen is a graduate student in the School of Information Science and Engineering, East China University of Science and Technology, China. His research interests include crowd analysis and crowd counting. Dongxu Jiang is a postgraduate student in the School of Information Science and Engineering, East China University of Science and Technology, China. Her current research interests include velocity detection, abnormal detection and crowd analysis. Yubo Yuan received the BS and MS degrees in information and computational science from Lanzhou University, China in 1997 and 2000, and PhD degree in information and computational science from Xi’an Jiaotong University, China in 2003. From November 2003 to June 2006, he worked as a lecture and associate professor in University of Electronic Science and Technology of China (UESTC), China. From July 2006 to August 2008, he worked as a research assistant professor in Mathematics Department of Virginia Tech, USA. From September 2009, he has been working as an associate professor in UESTC. His current research include optimization, data mining, machine learning, computational intelligence and extreme learning machine. Xingjian Lu is an assistant professor in the School of Information Science and Engineering, East China University of Science and Technology, China. He received his PhD degree in Zhejiang University, China in 2014. His current research interests include cloud computing, energy management and intelligent video processing. He has published more than 20 research papers in major peer-reviewed international journals and conference proceedings in these areas. 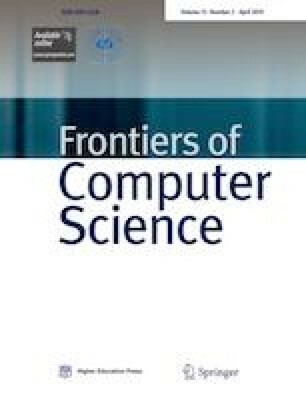 Supplementary material is available for this article at https://doi.org/10.1007/s11704-018-7165-2 and is accessible for authorized users. This work was funded by the National Key Research and Development Program of China (2016YFA0502300), the National Natural Science Foundation of China (Grant No. 61602175), Shanghai Municipal Commission of Economy and Informatization (150809), the Open Research Funding Program of KLGIS (KLGIS2015A05) and BUAA (BUAAVR-15KF-03), the Fundamental Research Funds for the Central Universities (222201514331), and Green Manufacturing System Integration Project of Ministry of Industry and Technology of China (9908000006).